With Windows 10 Creators Update Microsoft decided to remove the advanced display options that let us adjust separately the font size in menus, icons, title bars, notifications, etc. I guess Microsoft wanted that to keep some consistency in how the GUI appears, but the option of increasing everything at a level of, e.g., 125%, brings even greater distortion to the overall appearance of windows. In any case, there is a chance to fine tune these elements without magnifying everything and without entering the perilous fields of the registry, just by using a free and small utility. 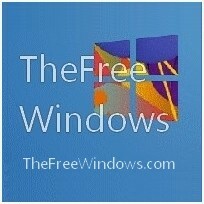 Windows Text Size Changer comes in two flavors, a simple and an advanced one. Both are free and portable (you don’t need to install anything, just unpack and play). 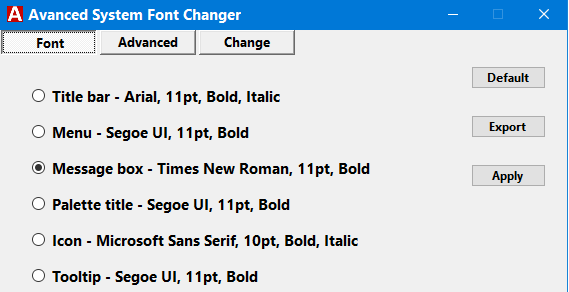 Windows Text Size Changer will ask you to save your current settings in case you need to revert the changes; don’t neglect to do that. Both versions are included in this tiny (40 KB) download. Enjoy!